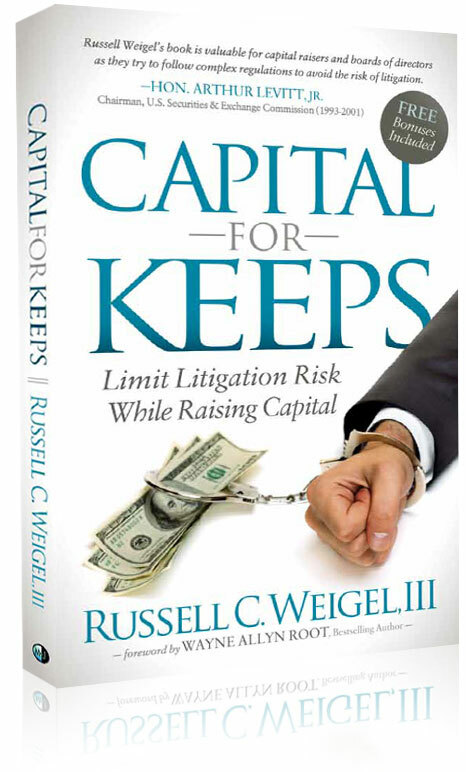 The book that helps your clients understand the legal complexities involved in raising capital from investors. 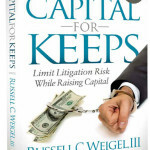 Capital for Keeps, authored by Russell C. Weigel, III, eliminates the legal jargon and simplifies the do’s and don’ts of the securities regulatory minefield as it relates to capital raising. A 10-year supervising attorney for the Securities & Exchange Commission, Russell has dedicated another 15 years to private practice counseling capital raisers and defending corporate executives from the SEC and FINRA enforcement matters with a mission to keep you and your client out of court! For more info, click this link www.capitalforkeeps.com. Also available for immediate download, purchase your copy today and forward the link to your client. ← 6 billion settlement but no failure to supervise?